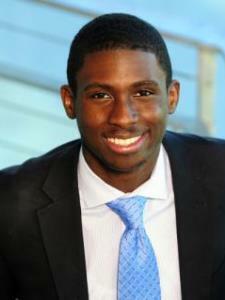 My name is Keithlin and I graduated from the University of Texas at Arlington with a degree in Finance. I have always made good grades throughout my schooling and have always prided myself in helping others. I have had experience helping to tutor my own family members throughout my life, as well as tutoring students on-campus at UTA before I graduated in May 2013. I graduated high school with a 3.6 GPA and in the top 10% of my class. In college, I graduated with a 3.2 GPA. I am very well-rounded in all subject areas, with an emphasis on math, English, public speaking, resume building, accounting, finance, business, and standardized testing. I am a very patient individual who thrives off of seeing students succeed. I am a hard-working individual and I believe in being persistent in my tutoring methods. I will go above and beyond to get your child the help he/she needs to succeed. I will not let your child fail. I believe in establishing a relationship with the student and using positive reinforcement to help a student attain his/her goals. No matter what it takes, I will give my 100% in helping your child reach his/her goals of being successful academically and professionally. Over 10 years experience working with Excel in the workplace environment. I graduated from the University of Texas at Arlington and I graduated as a Goolsby Academic Scholar, based on leadership and ethics. In this program, the curriculum included a lot of public speaking and gave a lot of tips about the preparation of it. I have also participated in the Toastmasters program, which is focused primarily on public speaking. I have gained a great amount of knowledge and experience in public experience and can share many techniques and tips to improve an individual's public speaking ability. I have taken algebra 2 throughout high school and college. I graduated from UT-Arlington with a Finance degree. I played Varsity Basketball for Seagoville High School for 2 years in 2008 and 2009. I was a First-Team All-District Selection in 2009, and I am very knowledgeable about the game. I spend a lot of time studying the game and preparing young kids on the fundamentals. I have helped to prepare family members and friends over many years. We worked on Math and Writing. He was familiar with the material, knowledgeable, and fun to work with. He's great at presenting solutions in a variety of ways. I'll definitely recommend him to other parents.